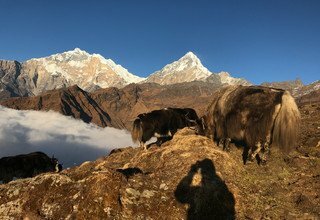 Khopra Ridge Trek is one of the most interesting and exciting treks in the Annapurna region of Nepal, which has only recently been recognized as a tourist destination. 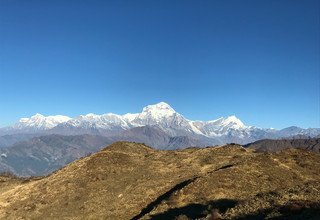 Khopra Ridge Trek provides a stunning panoramic view of the snow-capped mountains in the Annapurna region along with an exposure to the Gurung culture largely practiced in the area. 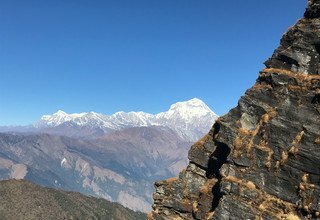 Khopra Ridge is in the heart of Annapurna region yet remains undeveloped and hidden for the trekkers. Khopra Ridge Trek includes all of the essentials of a typical trekking experience in Nepal with its villages, landscapes, and mountain vistas. 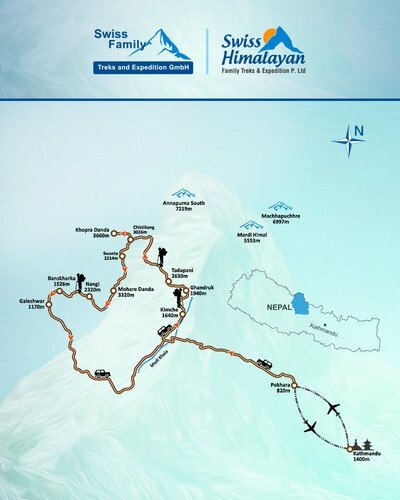 The 14 days Khopra Ridge Trek starts from the capital city, Kathmandu, and then a flight to Pokhara. The actual trekking part starts by walking from Kimche to the picturesque village of Ghandruk, which is the largest Gurung village of the Annapurna region. 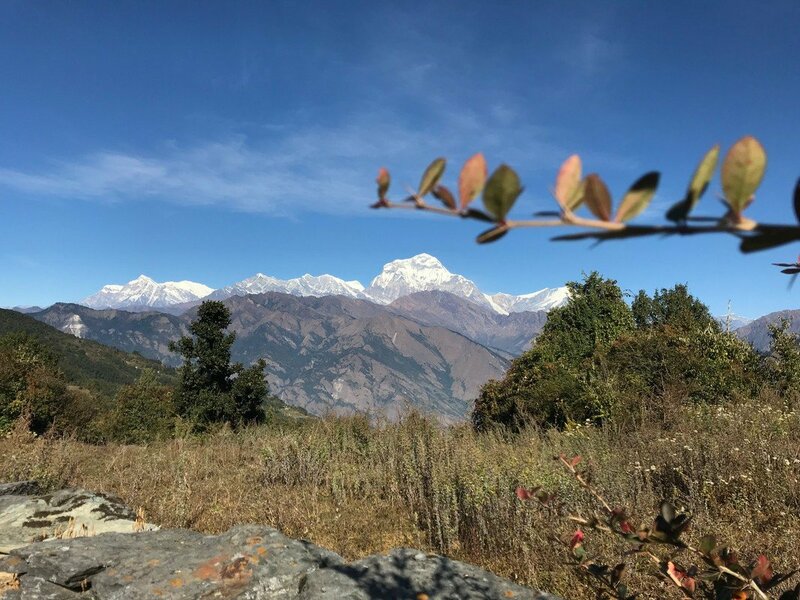 The trail goes through lush pine, oak, rhododendron, and bamboo forests with gorgeous views of the snowy Himalayas including Dhaulagiri (8167m), Annapurna (8091m), and Machhapuchhre (6997m). 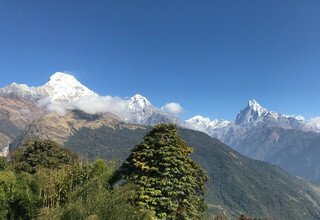 The trail crosses several beautiful settlements of Magar, Gurung, Kami, Chhetri, and Brahmin ethnics and their surrounding landscapes. 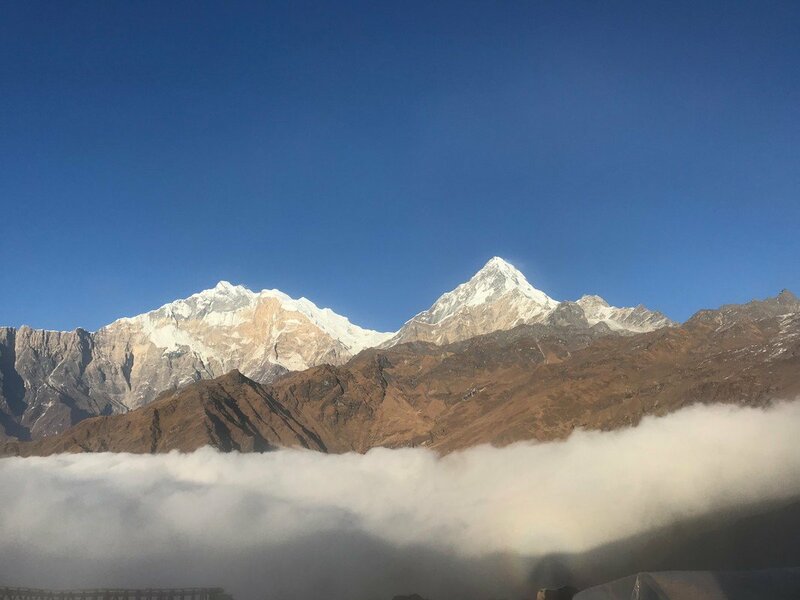 Khopra Ridge Trek also takes on an exploration hike to the holy Khayar Lake (4600m), the highest point of the trek, for the most remarkable views of peaks and enthralling landscapes. 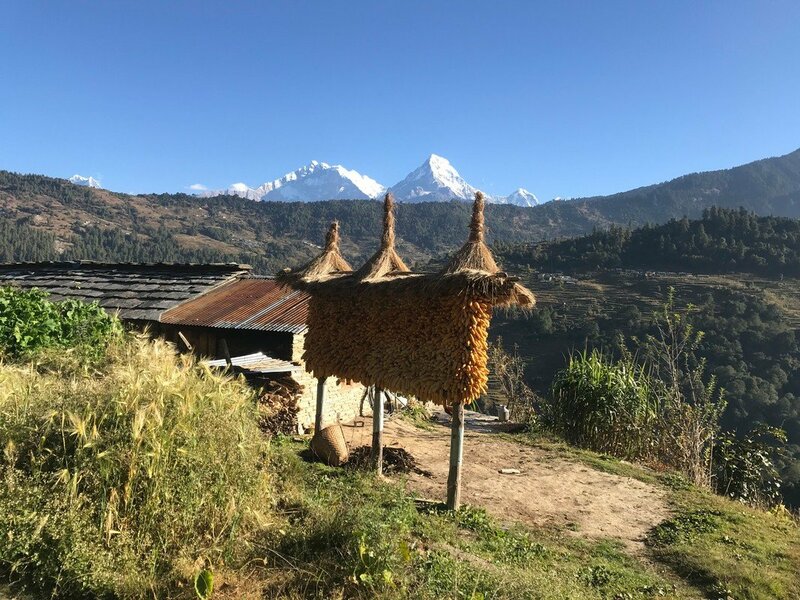 On this trip, you will have opportunities to experience authentic Nepali culture and lifestyles and to share hear the stories of the locals. The trek ends as you drive back to Pokhara from Galeshwor. We take a day off in Pokhara before returning to Kathmandu. Swiss Family Treks and Expedition believes in providing excellent services to our clients from all over the world. We take pride in the positive reviews given by our former clients and strive to be the best travel agency in Nepal. You can be assured about a memorable journey as you explore the country with our experienced and friendly guides, usually belonging to the same region. 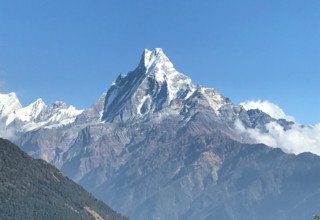 Welcome to Nepal! Our representatives will be waiting for you in the arrival section. You will be greeted and be transferred to the hotel. O/N at 3-star hotel. Early morning, take a flight to Pokhara with picturesque mountain views. 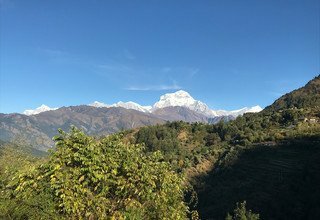 On arrival at Pokhara, we will drive to Kimche via Nayapul enjoying the countryside view. 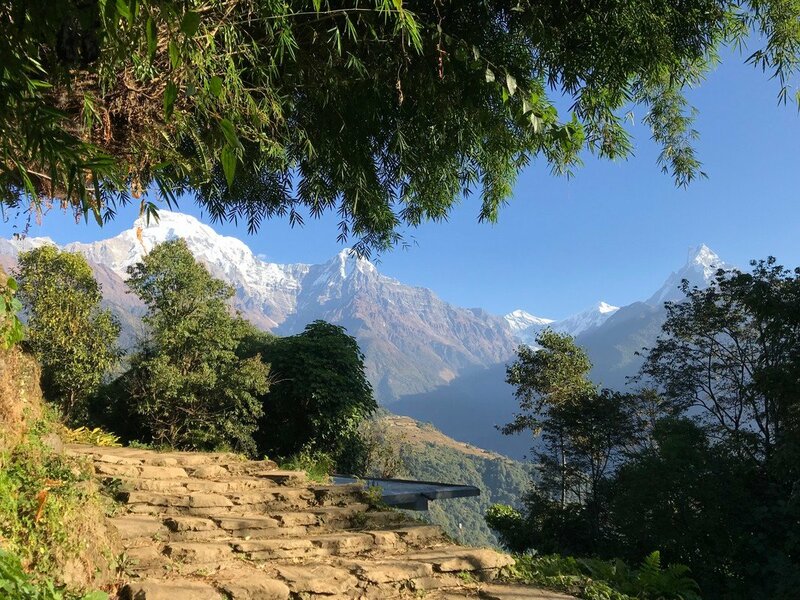 Then, we ascend on stone steps through the forest to reach Ghandruk, which is the largest Gurung village in the Annapurna region. In Ghandruk, we get to experience the Gurung lifestyle and culture. We visit the Gurung Museum and the Buddhist monastery. 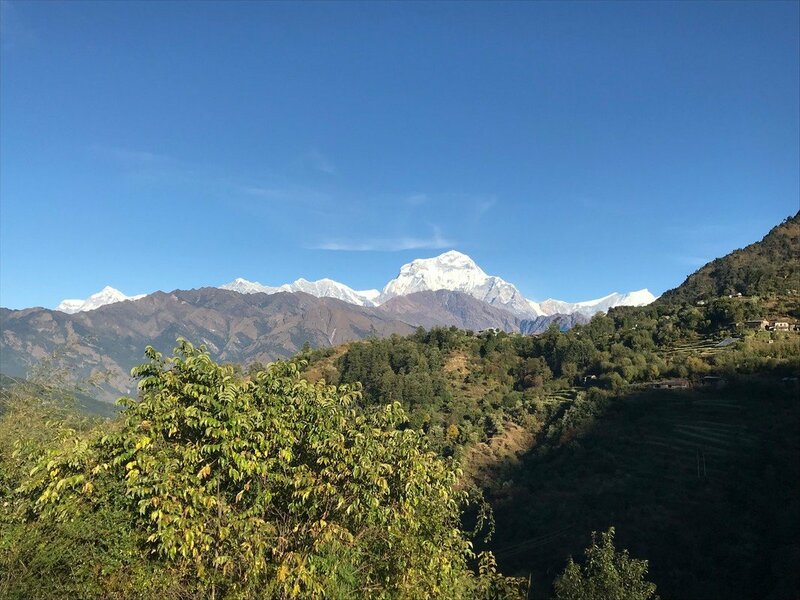 An outstanding view of Annapurna South (7219m) and Machhapuchhre (6993m) can be seen from anywhere in Ghandruk. Stay overnight at Lodge. Wake up to an amazing view of the mountains. Ascend ahead and leave the terraced hillsides and the beautiful village of Ghandruk behind. This will be a pleasant walk due to the sound of birds and small waterfalls, and in spring, the rhododendron will be in full bloom. We will have a beautiful vista of the Annapurna massif, Machhapuchhre (6993m), and Lamjung Himal (6983m), along the way. Walking through oak and rhododendron forest, we arrive in Tadapani, which caters the perfect sunset and sunrise views. Stay overnight at Lodge. 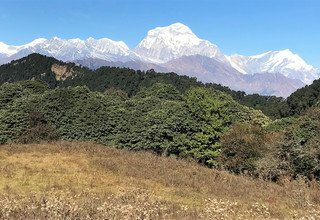 Initially walk through thick rhododendron forest and ascend above the tree line for an excellent view of the Annapurna range. Ascending through the rhododendron forest, we arrive at Meshar Danda. Then, we ascend slowly through the forest to reach Isharu, and again walk in the savannah, descend for a while and ascend between small hills to reach Dobato. You can stay an extra day to hike to Hidden Lake from Dobato. Overnight at Lodge. 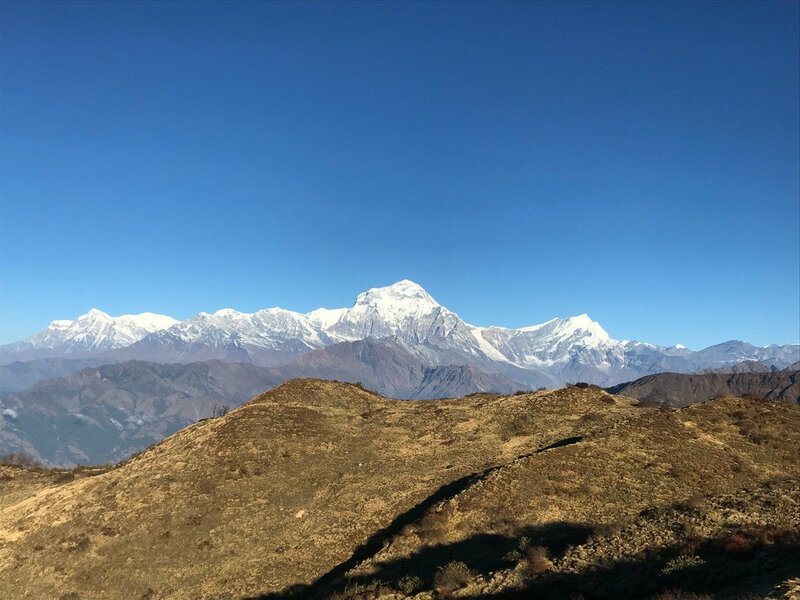 Early morning, hike 30 minutes up to Muldai View Point for a 360-degree view of the Himalayas including the Dhaulagiri range and Annapurna massif along with Machhapuchhre (6993m). After descending through a thick forest of rhododendron, we ascend until reaching Bayli Kharka. Then, descending through the thick forest of rhododendron, crossing a wooden bridge, moving uphill to reach the meadows, we ascend slowly to reach a herder’s settlement at Chistibung. Stay overnight at Lodge. Today, moving ahead to reach Khopra, we ascend above the tree line. We may encounter exotic wildlife like Himalayan Thar and Danphe pheasant. 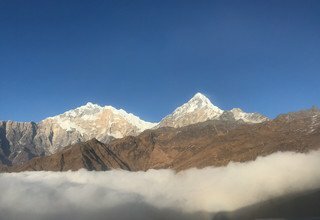 Ascending gradually, we reach Khopra Ridge for an overwhelming view of the Annapurna range, the Dhaulagiri range, Nilgiri (7061m), and so on. 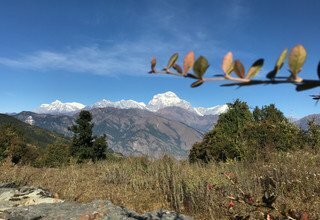 Across the Kali Gandaki Valley, the Dhaulagiri range overlooks the entire western horizon. Stay overnight at the Community Lodge. Today, we hike to the holy Khayar Lake (4600m), also known as Khayar Barah. Khayar Lake is a sacred lake for Hindu pilgrims, who visit the area on the occasion of Janai Purnima, around the full moon of July-August. Ascending past a small stone Chorten, we arrive at the tranquil Khayer Lake with a backdrop of snow-capped Himalayas. Relishing the beautiful view comprised of the lake and the mountains, we head back to Khopra Ridge for an overnight stay at community lodge. Descend and continue sharply downhill. We retrace the way back to Chistibung. Then, ascending through the jungles, we reach Kharka. This place is really enjoyable for lunch, after which, we cross the small wooden bridge. Afterward, the trail leads us to the bamboo forest on a trail rising and falling until our arrival in Swanta. You get to experience the warm hospitality of the Magar people here in Swanta. Stay overnight at Lodge. The trail descends to the suspension bridge over a small torrent. 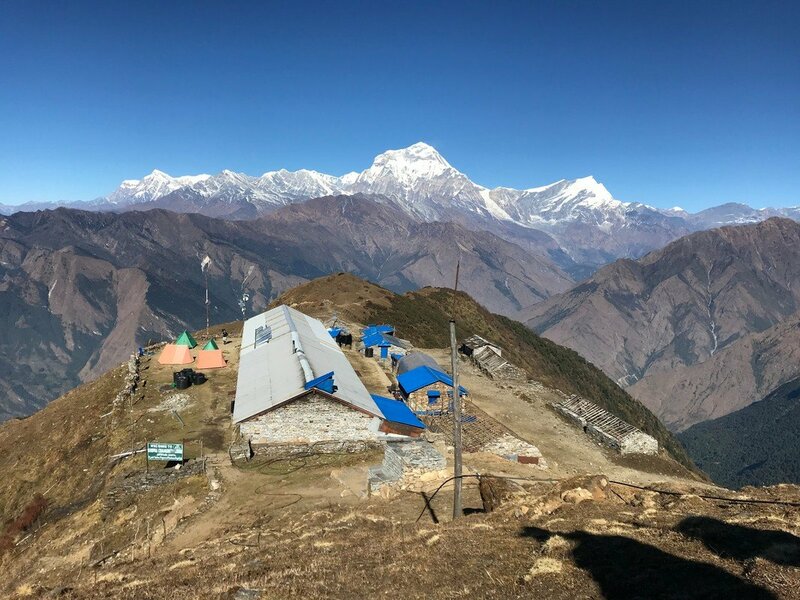 Then, the trail follows steep twist and turn to ascend until reaching Phalante to join the main trekking route to go to Ghorepani or Tatopani. 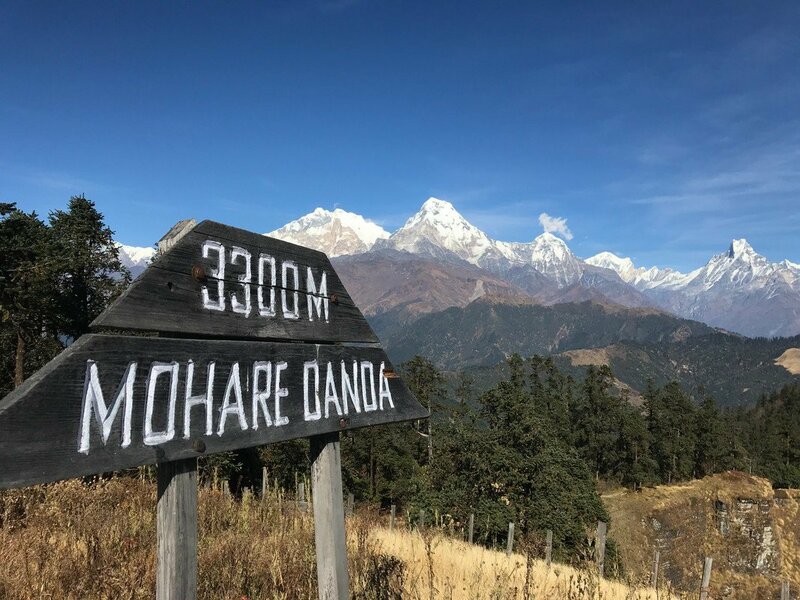 Later, we head on out our trail of rhododendron forests as we ascend to Danda Kharka, crossing several yaks and sheep meadow land with an overwhelming view of the mountains. 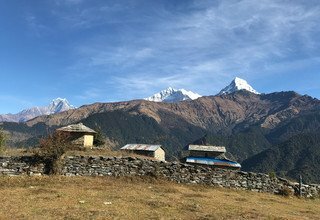 Afterward, we ascend to Fulbari then to Mohare Danda. 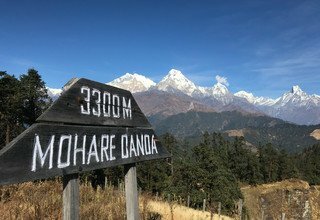 Mohare Danda is a picture-perfect, natural, and tall ridge. It offers a panoramic view of the mountains of the Annapurna region. Stay overnight at Community Lodge. Early morning, enjoy the sunrise view over the mountains to walk further and enter the forest as we head on to Hampal Pass (3098m). 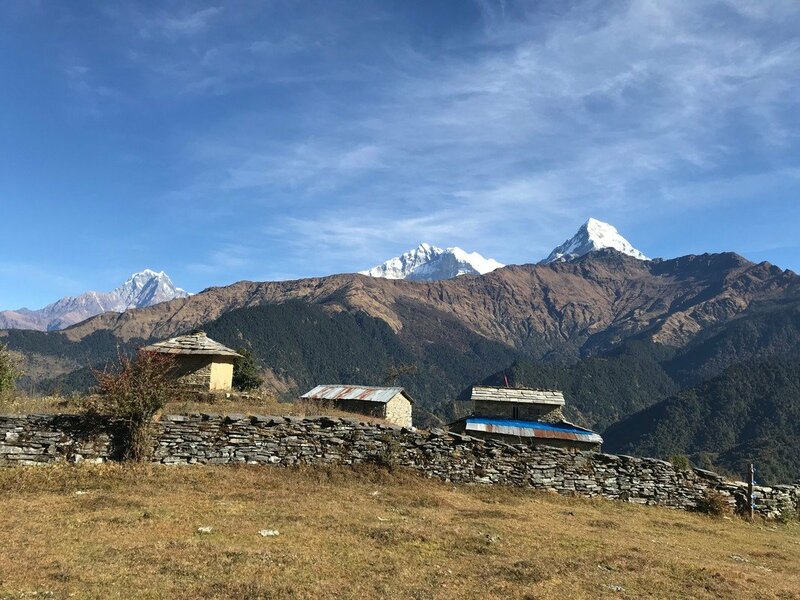 Then the trek follows steep crisscross trails into the forest to reach a stone cemented trail, from where we continue walking down to the Magar Village of Nangi. 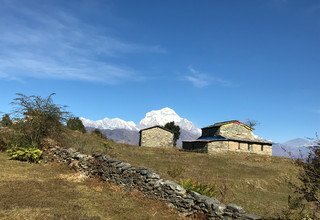 The views of Dhaulagiri range and Annapurna range are clearly visible from the village. We explore the schools of the village and the surrounding area. Stay overnight at Lodge. The trail goes steeply down in the stone stairways, then, ascends towards Banskharka, which has yards and yards of orange orchards. 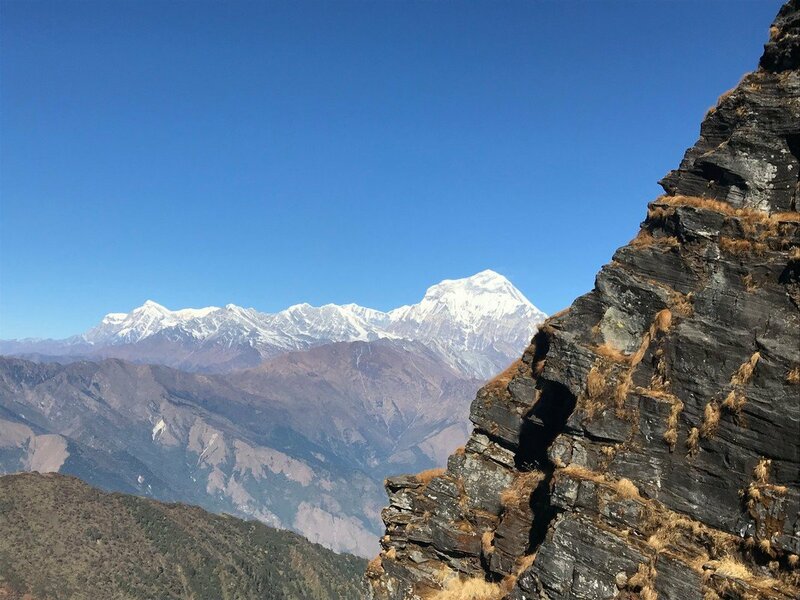 Descend on the small trail, avoiding the dirt road, we reach Kali Gandaki River, which we cross to arrive in Galeshwar.The famous Hindu temple is located in the central village. We will quickly visit this temple, and rest for the day. Stay overnight at Lodge. 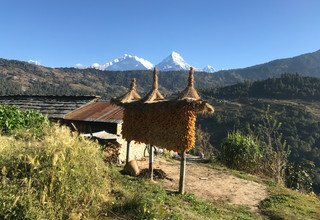 After such an amazing trip, we finally bid goodbye to this amazing place and drive back to Pokhara enjoying the scenic view of the countryside villages filling up the landscape. You can relax by the Shore of Phewa Lake, or visit the restaurants and pubs on the lakeside. Overnight at a 3-star hotel in Pokhara. Day 13: Morning Hike to World Peace Stupa and afternoon fly back to Kathmandu. 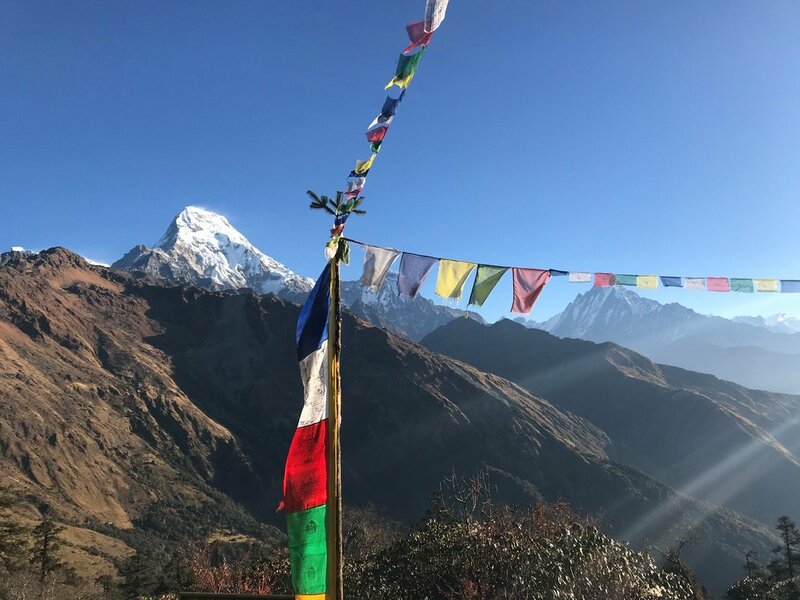 In the morning, we hike up to World Peace Stupa and see the 360-degree view of Himalayan ranges from Manaslu to Dhaulagiri ranges including Machhapuchhre (6993m) and the Annapurna massif. 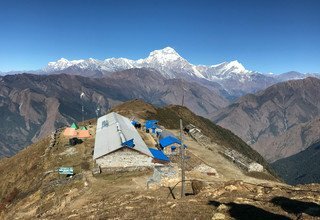 A bird's eye view of entire Pokhara valley and also Phewa Lake can be seen from the stupa. Then, we hike back to Phewa Lake and take a boat to cross the lake. In the afternoon, transfer to airport to take the flight back to Kathmandu. Our car will be waiting to pick you up at the airport and transfer you to the 3-star hotel. Farewell! We shall drop you at Tribhuvan International Airport 3 hours prior to your scheduled flight. We hope to see you again! 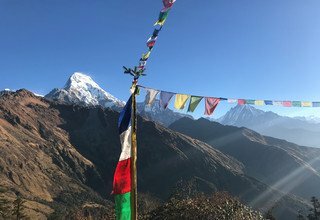 Join with us on Khopra Danda/Ridge Trek in Annapurna in 2019/2020. Get 5% Early Booking Discount! 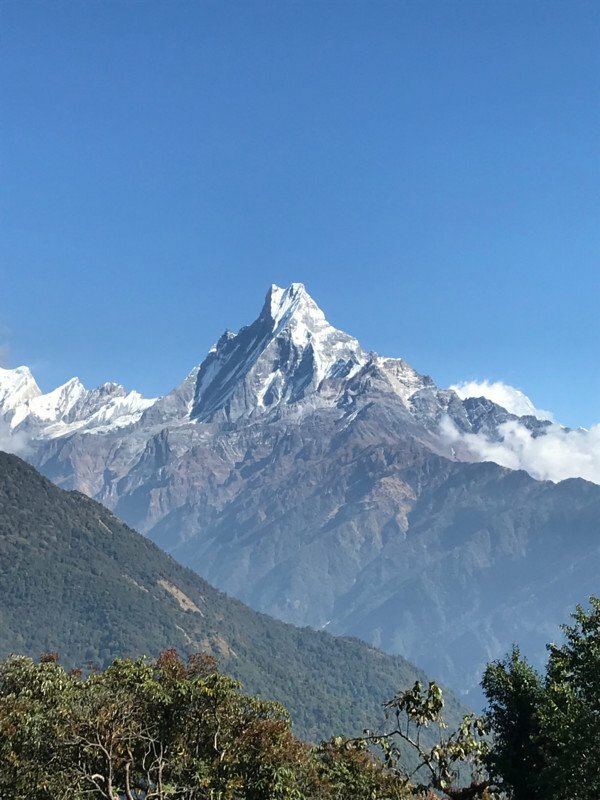 * 2 nights deluxe accommodation in twin bed sharing basis with breakfast at 3* Hotel Marshyangdi in Kathmandu and 1 night deluxe accommodation at Temple Tree Resort in Pokhara. * Lodge to lodge/community lodges accommodation during the trek. 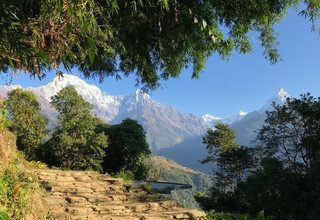 * Annapurna Conservation Area Permit and TIMS. * All necessary entrance fees.